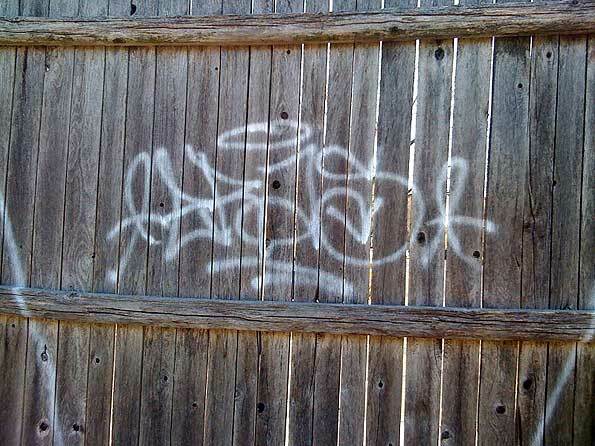 Tag Archive | "criminal damage"
Tag result for article published on Tue February 15 2011 6:10 pm. CLICK TITLE TO EXPAND. Tag result for article published on Tue January 11 2011 4:22 pm. CLICK TITLE TO EXPAND. Tag result for article published on Wed June 23 2010 7:42 am. CLICK TITLE TO EXPAND. Tag result for article published on Tue June 22 2010 7:36 am. CLICK TITLE TO EXPAND. Tag result for article published on Sat June 12 2010 8:24 am. CLICK TITLE TO EXPAND. Tag result for article published on Mon August 17 2009 11:15 am. CLICK TITLE TO EXPAND. Tag result for article published on Sat May 30 2009 1:26 am. CLICK TITLE TO EXPAND. Tag result for article published on Mon April 13 2009 8:08 pm. CLICK TITLE TO EXPAND. MON APR 13 2009 — Bubble style script graffiti was discovered painted on a water tower at Sunset Meadows Park near Dwyer, Wilke Road and Central Road Monday morning. The criminal damage to property occurred between Sunday, April 12th at 2:00pm and Monday, April 13th at 9:00am. Tag result for article published on Thu April 09 2009 1:36 pm. CLICK TITLE TO EXPAND.